Osaka Custom Style: David...Smell The Glove is here. 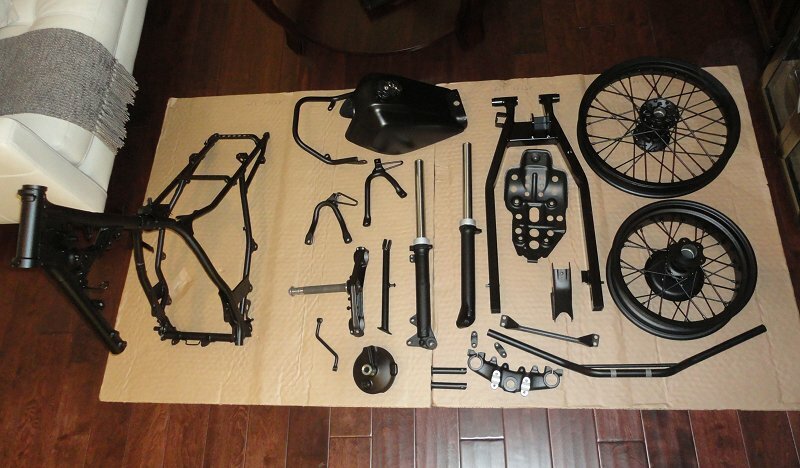 All my parts back from powder-coating (minus the exhaust tube) and my painted tank. "How much more black could this be? And the answer is: none....none more black."